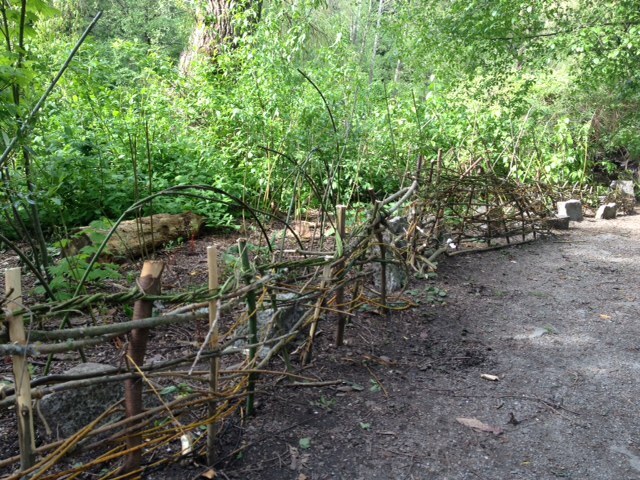 On the west side of Lost Lagoon, SPES’ Stanley Park Eco Stewards, in collaboration with environmental artist Sharon Kallis, have been busy replacing temporary orange plastic fences with living willow and wattle fences. As part of an initiative to reduce green waste, the fences have used a variety of invasive and native species that would have otherwise ended up in landfill. 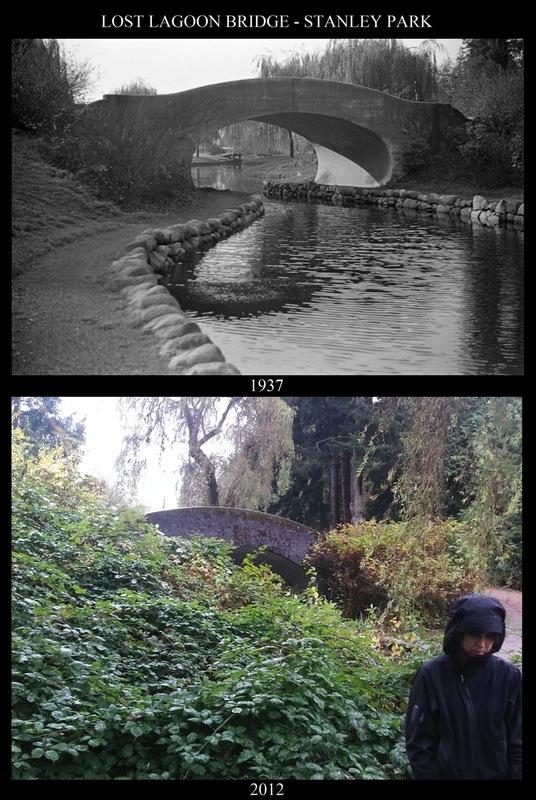 Living fence installed by the Stone Bridge in Lost Lagoon. The area has undergone many changes over the years. In the 1930’s there was a gravel trail under the stone bridge which was gradually overtaken by the invasive Himalayan blackberry. By 2012 the area was completely covered when SPES engaged BCIT Ecological Restoration students to assist in restoring the habitat by removing the blackberry and planting native species. The purpose of this new fence is to create a refuge for waterfowl, beavers, raccoons and river otters that are frequently seen in Ceperley Meadows and the Stone Bridge area. As the willow grows, it will create a stronger barrier to protect the sensitive habitat from soil compaction, trampling and help to maintain the site as a sanctuary for wildlife which can still be viewed from the other side of the creek or from the bridge. Pacific willow and dune willow species were used as both fence plantings and live supporting stakes, along with red-osier dogwood from SPES’ own native nursery. The wattle fences in front of the living willow fences were created from Himalayan blackberry, willow, cottonwood and cedar. Be sure to check out this living fence the next time you’re exploring the Park!